Florida is home to an amazing variety of both seasonal and permanent waterfowl residents, as well as other wildlife. These pictures are from Central Florida, where despite the high concentration of humans (there are 50million + tourists just in the Orlando area annually) the wildlife has easily adapted. You see gators in ponds at golf courses as well as in the parks. 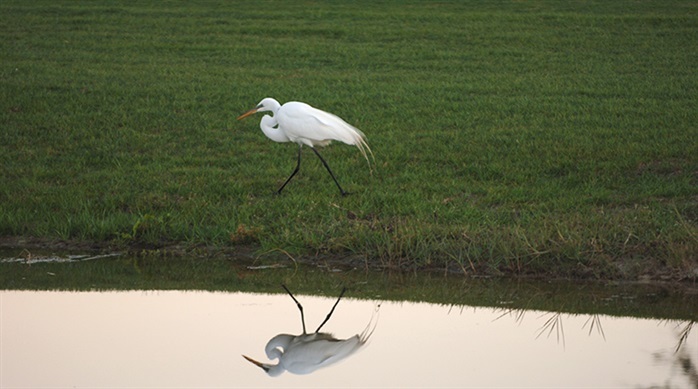 And egrets, herons, cormorants are fairly commonly seen fishing at resorts, city parks and even along the highways. Florida is a bird watchers' paradise. Carry a pair of binoculars while you're in this state and you may discover that wildlife behavior can be as fascinating as and sometimes eerily similar to human behavior. 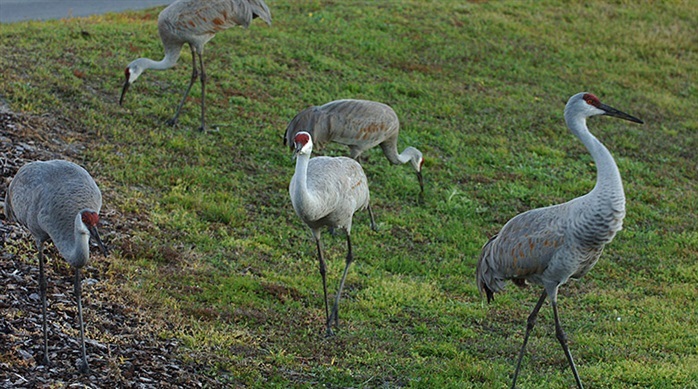 Sandhill cranes are some of the largest birds in our country and stand over 3' tall. Their call is almost like a lawnmower at a distance…very mechanical sounding. The Great White Egret is not quite as tall, but is around 30" high. Their beaks are yellow and their legs and feet are black. They were hunted almost to extinction by 1900 because their beautiful plumes were used to decorate ladies' hats. 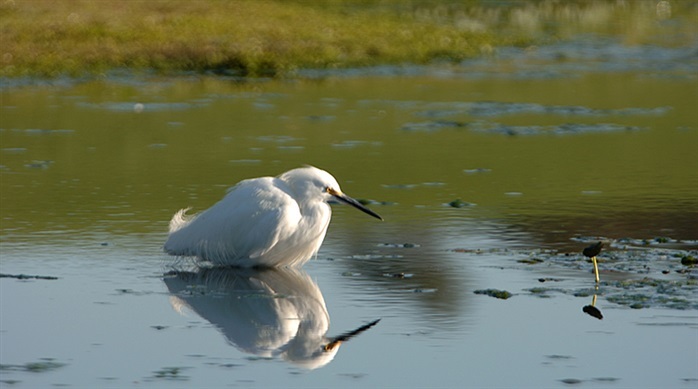 The Snowy Egret has a black bill, black legs and yellow feet. They are about 26-27" in height. 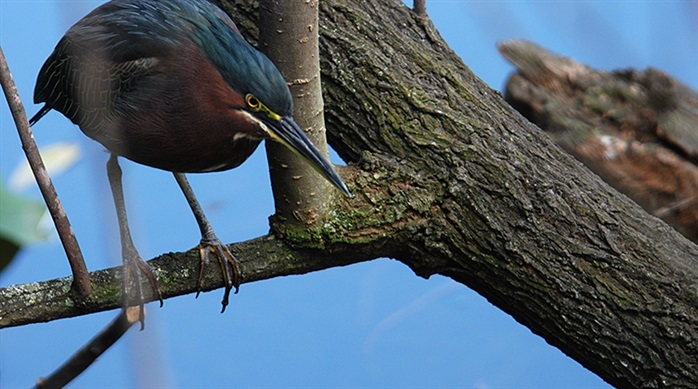 The Green Heron is much smaller than the other three. It is 16-22" tall and is more secretive. Generally its head and back are green but its neck and chest are a rich chestnut. They feed at the edges of all types of bodies of water.